Tom, Dan and Ryan return for Part 2 of the Take the Points Bowl Game Spectacular. 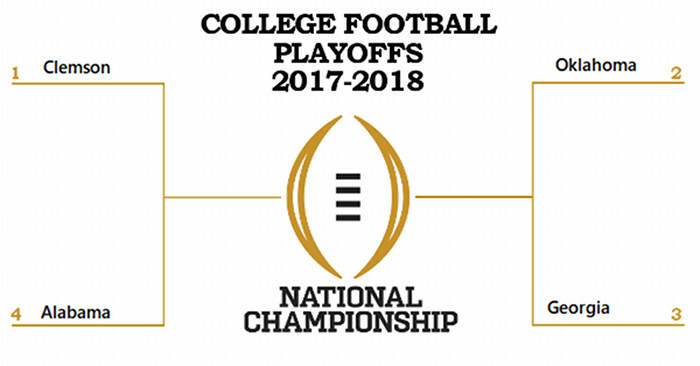 They break down the Playoff semifinals and the rest of the New Year’s Six bowls, along with the Outback Bowl and Citrus Bowl. There are plenty of disagreements on this week’s show. The show ends with discussions of Texas’ outstanding recruiting class and Arizona State basketball coach Bobby Hurley. Listen using the player below, subscribe to the Take the Points College Football Podcast on iTunes, search for Take the Points College Football Podcast on the iPhone Podcast app, listen to Take the Points on Stitcher, or listen on Google Play.